I have a special guest today, Lacie Nation. She was kind enough to answer some questions about her new release, Gravity Beach. Welcome Lacie. 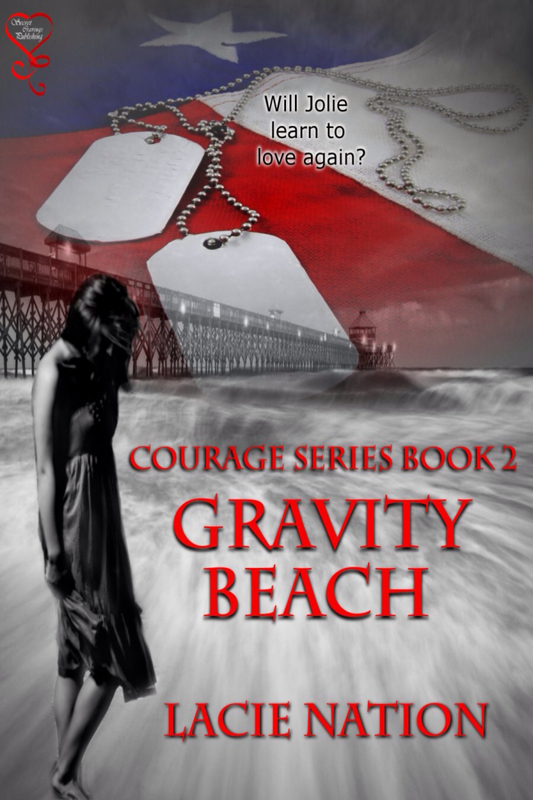 JILLIAN: The name Gravity Beach intrigues me. What inspired the name? Describe the beach itself. LACIE: The song Gravity was played on repeat during the writing process. There is a little beach in South Carolina called Folly Beach. It was my muse when creating the backdrop in this story. I wanted it to have that down home feel, but I wanted to create my own little world as well. So, I created the town of Gravity Beach. JILLIAN: When David was away from his child, where did she stay? Did they use technology to keep in touch- such as Skype? LACIE: They did use skype as well as email and the phone when he was able to. Madison stayed with his parents while he was deployed. JILLIAN: What’s the subject/grade that Jolie teaches? LACIE: She teaches 5th grade. In Gravity Beach 5th graders don’t change classes, so she teaches her students everything. JILLIAN: Tell us something about David’s backstory that is NOT in the book but was in your head as the writer. LACIE: I do touch on it a little bit in the book, but despite David being uber hot, he hasn’t really been in a serious relationship. His relationship with Maddie’s mother was short lived because she took off and the two of them never loved each other. JILLIAN: How do your heroine and hero take their coffee and what does that tell us about them? LACIE: They take their coffee black. I feel like that tells us that they are no nonsense kind of people. They don’t beat around the bush, but get straight to the point. Remember, today is Tuesday Tales day and while I have a guest today and didn’t participate, there are some awesome tales to read over there. Check it out if you have a chance. Enjoyable post! Great questions and answers. We learned more about Gravity Beach.